Reverting to what I can remember of childhood, the next thing that is vivid in my memory is the winter of 1880-81, which we spent at Bournemouth. 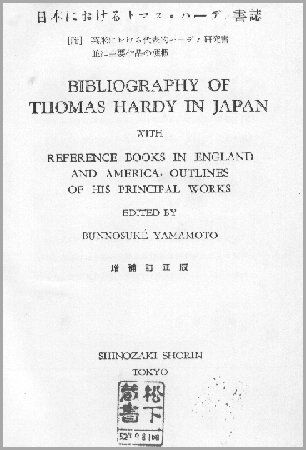 It was there that I first learned the name of Thomas Hardy, whose book The Trumpet Major, in three volumes, was lying on the drawing-room table. I think the only reason I remember it is that I wondered what a trumpet major might be, and that it was by the author of Far from the Madding Crowd, and I did not know either what a madding crowd was. While we were there, my German governess told me that one got no Christmas presents unless one believed in Father Christmas. This caused me to burst into tears, as I could not believe in such a personage. My only other recollections of the place are that there was an unprecedented snow-storm, and that I learned to skate - an amusement of which I was passionately fond throughout my boyhood. I never missed an opportunity of skating, even when the ice was unsafe. Once when I was staying in Dover Street I went skating in St James's Park and fell in. I had a feeling of disgrace in having to run through the streets dripping wet, but I nevertheless persisted in the practice of skating on thin ice. Of the following year I remember nothing whatever, but my tenth birthday is still as vivid to me as if it were yesterday. The weather was bright and warm, and I sat in a blossoming laburnum tree, but presently a Swiss lady, who had come to be interviewed, and subsequently became my governess, was sent out to play ball with me. She said she had "catched" the ball, and I corrected her. When I had to cut my own birthday cake, I was much ashamed because I could not get the first slice to come out. But what stays most in my mind is the impression of sunshine.